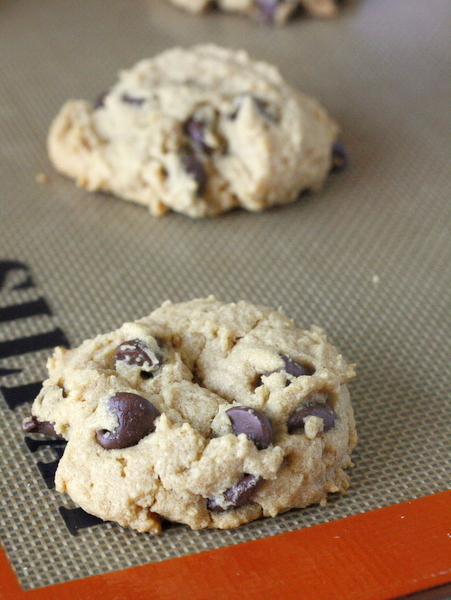 These just might be the easiest cookies I’ve ever made. And, even better, they taste amazing! I made these to take to a spur of the moment get together with friends, and they were a huge hit. I love these cookies, because not only are they delicious, but I always have everything on hand to make them at a moment’s notice. Plus they only take about 5 minutes to mix together! They are soft and sweet and just a little bit crumbly. They are also FULL of peanut butter flavor! You could leave the chocolate chips out to just make peanut butter cookies, but I love the combination of peanut butter and chocolate so much that I can’t see myself ever doing that. 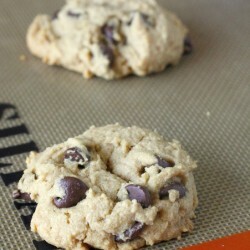 They are also made without flour, which makes them an easy gluten-free dessert! I know I will be making these cookies again and again, and I hope you will too. Stir together peanut butter, sugar, egg, baking soda, and salt in a medium bowl until well blended. 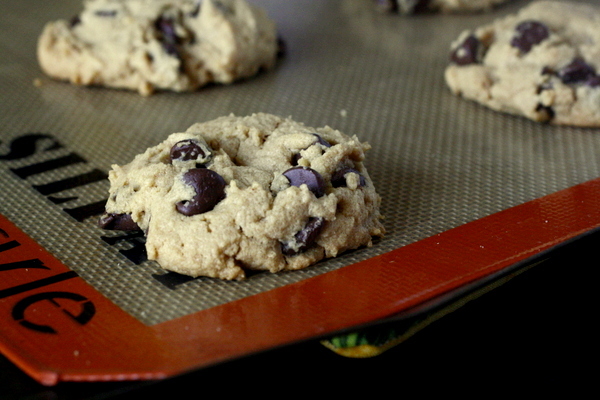 Drop dough by rounded tablespoonfuls 2 inches apart onto parchment lined baking sheets. Bake 12 to 14 minutes or until puffed and lightly browned. Cool on baking sheets for 5 minutes then transfer to wire rack to cool completely. 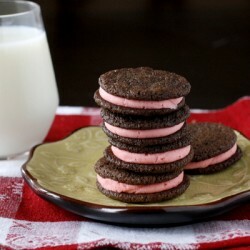 I have always wanted to bake flourless cookies, and these look so good! Do you need to chill the dough? I make something very similar; has brown sugar instead of regular. I use mini-chips as well. 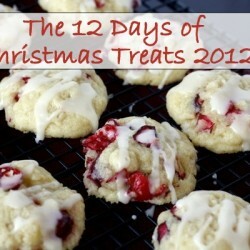 They are so delicious, easy to make and have a place on my cookie tray every Christmas. Megan, you are amazing. 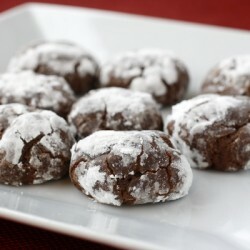 These cookies are wonderful! YUM! 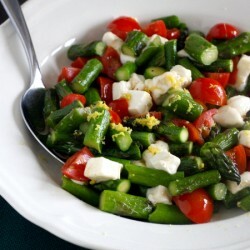 I love simple, but delicious recipes like this. i can’t wait to try it out! Omg these came out great. Thank you so much for this simple but great cookie.